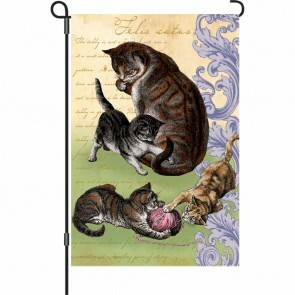 Looking for a Cat Flag for your Yard and garden? Well than you’re in luck! 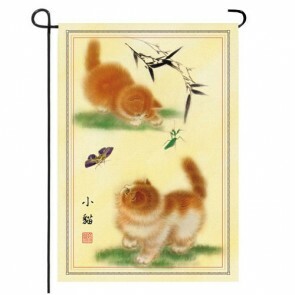 We offer a great selection of Smaller size flags featuring cats and kittens at always low prices. A typical size Garden Flag measures approximately 12.5” Wide by 18” Tall and fits on any standard mini flagpole or flag stand.